This past Tuesday, alumni Karen Pittelman ’93, Vinson Cunningham ’02, Molly Lister Weismann ’06, Renato Rengifo ‘07, Helen Feldman ’10, Ken Zhang ’12, Gabriel Grand ’13, and Ethan Klaris ’15 returned to the school to speak about their unique experiences after graduation at the “Road Less Traveled” assembly. The alumni each shared five minutes-worth of their experiences after graduation. Director of Student Activities Caroline Bartels wanted students to hear “a variety of stories” from alumni who had taken more unique “routes to who they are,” Bartels said. 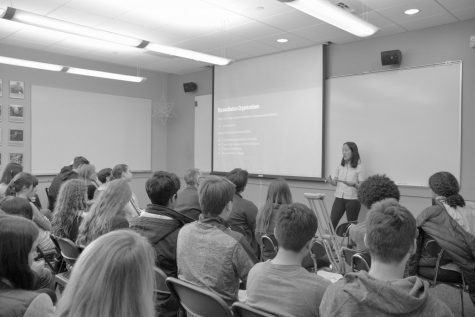 In the school’s bubble, students feel their “path is very linear, but most people will tell you that they couldn’t have planned for all the different changes in their lives,” Executive Director of College Counseling Canh Oxelson said. Many of the alumni took gap years and spent their time either traveling or working. 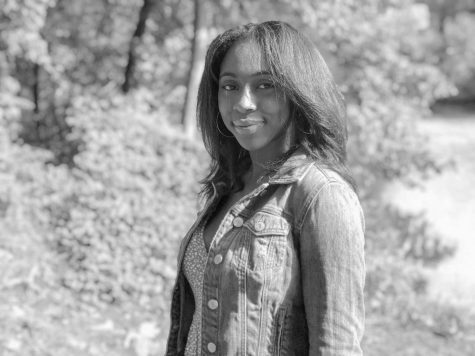 “I struggled with the idea that there was one definition of success [in the school’s community], and I wasn’t sure I fit it,” Lister Weissman, who traveled during her gap year and now works for the gap year program, Global Citizen Year, said. “I didn’t think about [a gap year] until the last two months of my time at HM, but as soon as I started thinking about it, I realized it made a lot of sense for me,” Grand, who traveled to Asia, Costa Rica, and New Zealand before attending college, said. Feldman, who traveled with a service focus, had noticed the pressure students at the school put on themselves and felt “that I did not need to be [putting] that kind of pressure on myself in order to be a good person, and in order to be successful in my life,” she said. Klaris worked on the Hillary Clinton campaign and spent time in Iowa and Colorado. For Zhang, as a student of less privilege around wealthy students at the school, a company start-up seemed “out-of-reach,” he said. Yet Zhang ended up taking a gap semester interning with a company in Shanghai, and afterwards, helping the team that started Think Board, helping to design white board stickers, he said. Other alums did not take gap years, but spent their time in other unconventional ways. Cunningham, who dropped out of Middlebury College in his junior year when he had a child, worked on the campaign for Barack Obama and is now a staff writer for The New Yorker. After dropping out of the University of Rochester, Rengifo found a passion for the new cake shop, Lady M Confections, and went on to become Marketing Coordinator for the business. Pittleman, co-founder of the Trans Justice Funding Project, a community-led fund supporting grassroots groups, has donated millions of dollars in the years since graduation out of her commitment to the redistribution of wealth. She’s also a singer-songwriter in the queer country band, Karen & the Sorrows. Hearing from someone who had taken a less conventional path would have “meant a lot” to her when she was a student, she said. Students had a variety of responses to the assembly’s message. “Now I feel [a gap year] is more of an idea I would consider,” Stephen Angelakos (12) said. Despite the assembly’s message that one should take a gap year, a gap year is not something all can afford to have the experience of taking, Mahdid Uddin (12) said. 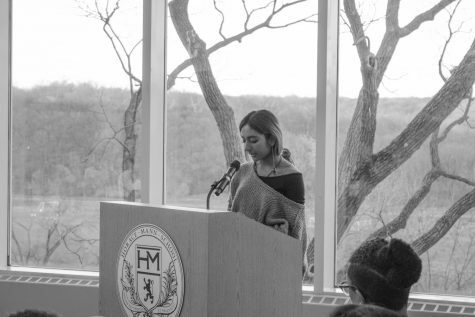 “I felt inspired by Pittelman because…[of] the personal nature of her story…I felt a sense of community that these people had all come from HM just the way I had, even though we had deeply different lives,” Emma Jones (12) said.